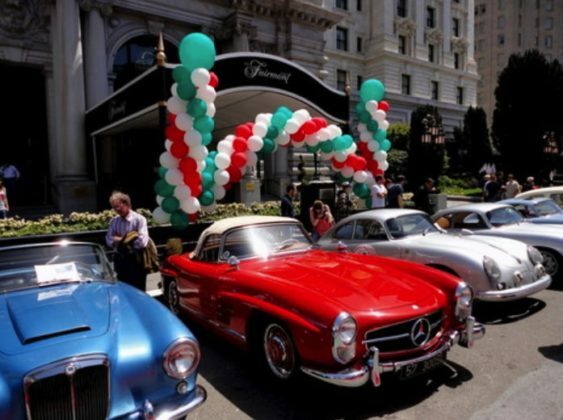 The 29th annual California Mille will bring 60 historic cars from all over the world to San Francisco to salute Italy’s most famous open road race, the Mille Miglia. See the biggest free car show of its kind in America and meet the drivers. Over 60 vintage cars that could have qualified for Italy’s thousand mile event that ran from 1927-1957, will arrive at San Francisco’s Nob Hill from a dozen states. The public is invited to see the cars and meet the drivers in front of the Fairmont Hotel. Ancient Alfa Romeos, pristine Porsches and magnificent Mercedes-Benz will take their places next to Jaguars, Ferraris, Bentleys and other classics on Mason Street, which will be closed to traffic between Sacramento and California Streets. *Free, but bring money for food and beverage purchase. *Free all-day, but an RSVP is required. *$2 with RSVP on Eventbrite. Otherwise, $10 at the door.